For many search marketers, having the perfect ad is everything! For those of us who live in the digital world day in and day out, we know that it’s not only having the perfect ad that matters, but also understanding where it shows. With Amazon Sponsored Products, you can show your ads in a variety of places, including top of search (first page), rest of search and on product page placement groups. Some of Amazon’s latest features with Sponsored Products campaigns are taking note of how we optimize and offering us a few new features. 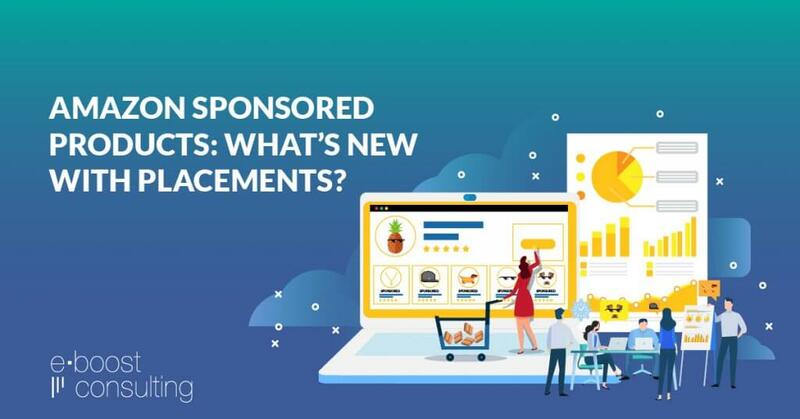 Placement Performance Report – Much like with Amazon Sponsored Brands (previously called Headline Search Ads), Amazon Sponsored Products ads will now have its very own placement report. To access the report, log in to your Seller Central account, and click Advertising Reports in the top navigation. Once you are on the reports page, select “Sponsored Products” campaigns, and for Report Type, select “Placement”. You can also name your report, as well as pick the time period you want to review. A longer time period should yield more results – particularly important if you are looking for statistical significance. From here, you can download the report, and open it in Excel. You’ll see stats broken out by campaign, and you can see performance based on different areas (or placements) where your ad has shown. If you have some Excel skills (or a co-worker that does) you’ll be able to do a lot with this data. One thing we like to do is create a Pivot Table, and group stats together by different placements to see if one area seems to have a higher click-through rate (CTR) or conversion rate (CVR) than other placements based on a confidence interval of 90-100%. You can also pivot the data by campaign, so you can see more granular stats by placement area. Well, onto Amazon’s next update! Placement Bid Adjustments – As you are combing through your report and find that certain placement areas do better than others, particularly for certain campaigns, you now have the ability to bid adjust by placement to have more control over where your ads show on Amazon. To use this feature, log in to Seller Central and navigate to the Campaigns tab. Select the Sponsored Products campaign you want to bid adjust, and then navigate to the Campaign Settings tab. Scroll down to the bottom, and the last option on the Campaign Settings page will allow you to bid adjust by placement type. Adjustments by placement actually replace the old “Bid+” feature for Sponsored Products. Additionally, these placement bid adjustments can sit on top of an already existing bid strategy if you have one. Now that you are up to speed on the latest with Amazon’s placement features, we want to leave you with one final note. Please don’t just boost your bids by placement and then move on. Come back within a few days’ time and re-run your placement report to ensure your metrics are holding up or improving. Look for increases to your cost-pers, and make sure that it is paying off with a stable or increasing conversion rate. Your return is of the utmost importance with your Sponsored Products campaigns, so even a slight adjustment should be monitored and re-tested at different bid levels if needed. If you need help with advertising on Amazon, or reviewing the nitty gritty of Amazon’s advertising reports, get a proposal from our team!